I've developed something of a taste for buying games through Steam. Much as many of us dislike the thing it has improved somewhat and they frequently offer obscure, old or unusual games for pennies on there. 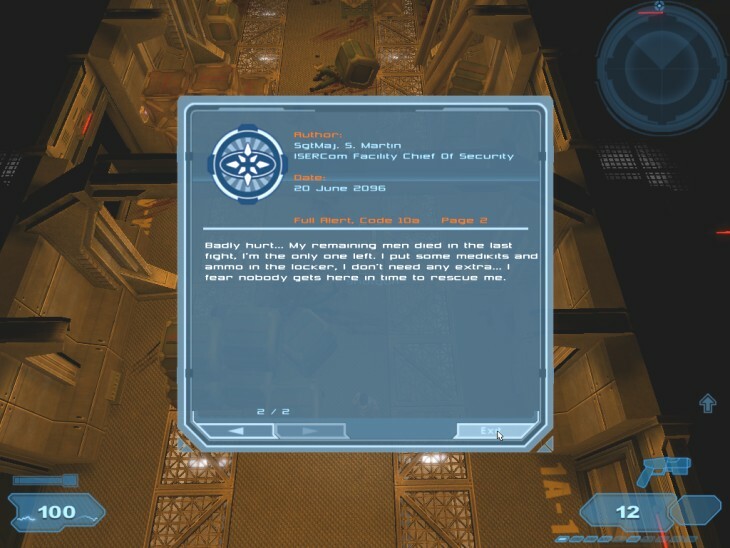 Darwinia was one, which I absolutely adored, Uplink is another, which is a little indecipherable for my liking but still well worth a look. Bloodrayne 2, a silly and over-the-top but still polished and highly stimulating (!) vampire 3PS, and, amongst others, Shadowgrounds. They also gave me the entire Half Life back catalogue (redone with Source) entirely for free - I just told it to download all of it and they did! No serial numbers, nothing, I reckon they're giving it away for anyone who owns HL-2. Very not bad, I'm currently playing Blue Shift through again.. They advertise the games on the Steam news page, and most of them cost about £10 each tops. They download in no time (I like the idea of buying games that you then download, you can do it with movies now too, which is tres cool) and of course update and patch automatically, and work 99% of the time because they've been rigorously tested to run through Steam. 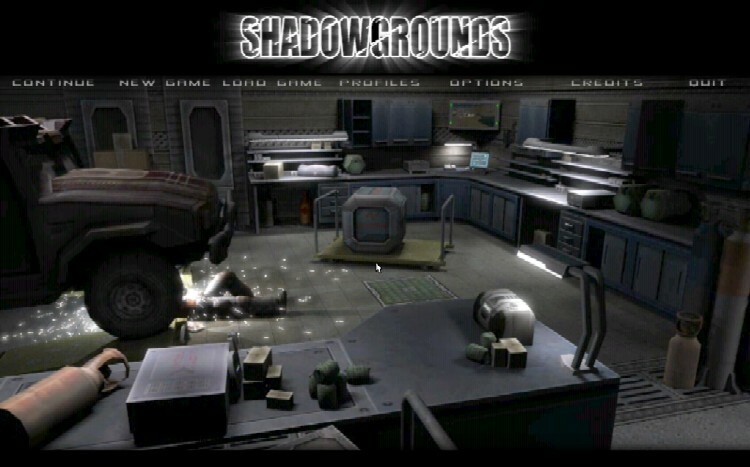 Ok, enough already, suffice to say that I found Shadowgrounds (hereafter known as SG) purely by accident through Steam, had a quick look online for reviews (Gamespot weren't overly impressed, just as well I ignored them) and then bought the thing anyway. SG is a top down shooter. Remember those? In fact, I can actually summarise this game in one simple sentence. It's Alien Breed for the PC! Here's some I killed earlier! There's a simple enough premise. 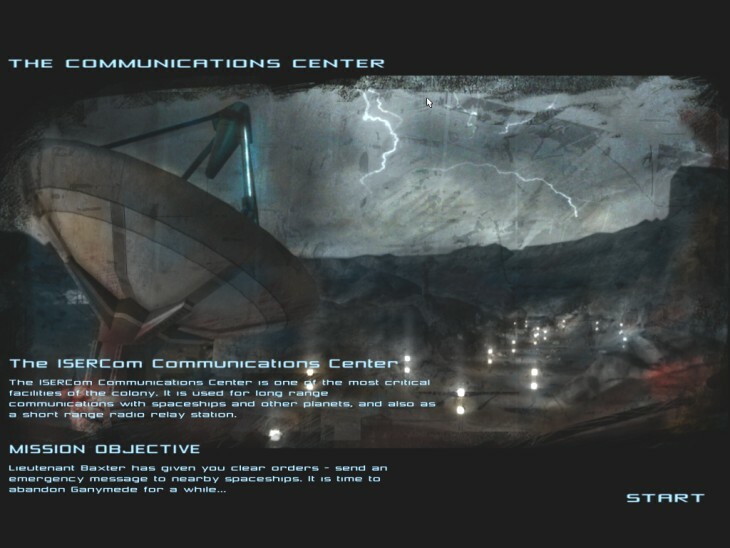 A la Doom 3 / Aliens, you're a maintenance guy working on a remote newly-terraformed moon when all sorts of hell breaks loose and you're roped in to pick up the pieces. There's so much to like about this little gem that it's hard to know how to approach it. I guess I'll just chuck in a few subheadings and see how we go. 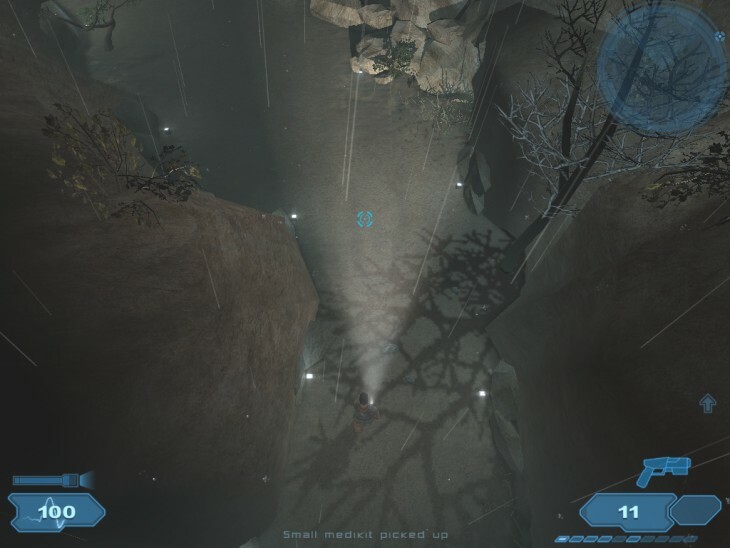 The overhead view works extremely well, and because the whole thing is played on a moon most of the game is played by torchlight and indoor lighting. That means loads of creepy shadows, dark corners, place for enemies to hide and jump out at you from, and a general atmosphere of ominous tension. Gamespot seriously underrated the game because they claimed it wasn't scary - it's not supposed to be, not like Doom 3 tried to be, anyway. Alien Breed wasn't scary either, particularly (only in certain places) and this game works in just the same way. It looks great. Lighting is awesome, you get wicked shadow effects from everything, especially when you use your torch (which is frequently), yet despite it being dark it's still perfectly easy to see everything, the torch is powerful and the light levels seem to be just right. I only cranked my gamma sufficient to get around my 19" monitor's darkness issues, beyond that the game was fine. Weapons are really nice too. They use a simple upgrade system which you collect parts for from fallen enemies, and the upgrades are really cool and dramatically effect the weapons. These range from simple things like increased clip size to one upgrade on the most famous FPS weapon which can only be described as a "crowd pleaser", it adds an ALT-Fire which is massively satisfying to use, makes the weapon scarily powerful, but is somewhat hungry on ammo! 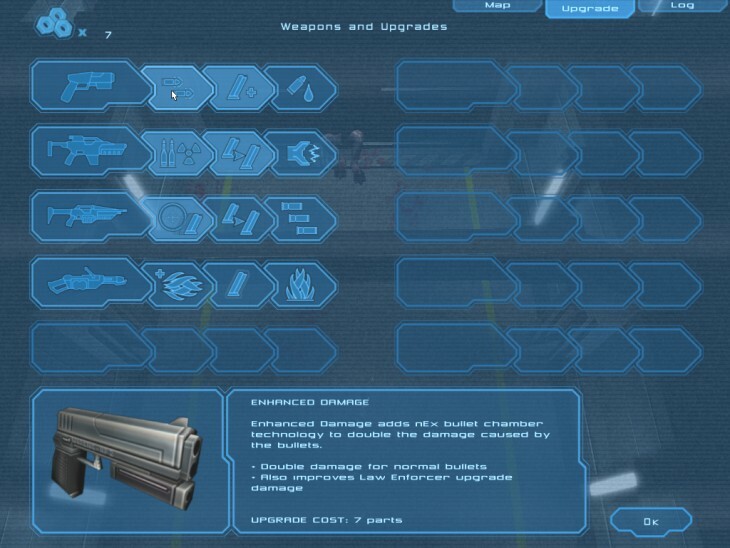 Each weapon has three upgrades and you can pick and choose any of them at any time, providing you've got enough parts, and the third upgrade gives each an ALT-Fire, too. There are some other clever little touches: Because it's overhead the height of the shots you take depends very much on the distance from your target. Your character tends to aim a little high which means enemies right up close can be hard to hit, and enemies leaping at you can effectively jump under your shot if they time it right. This forces you to keep moving and be careful of your position and distance, something I really like. Firing endless rounds at your enemies isn't enough, you have to make sure they're within the kill zone of your weapon too.. 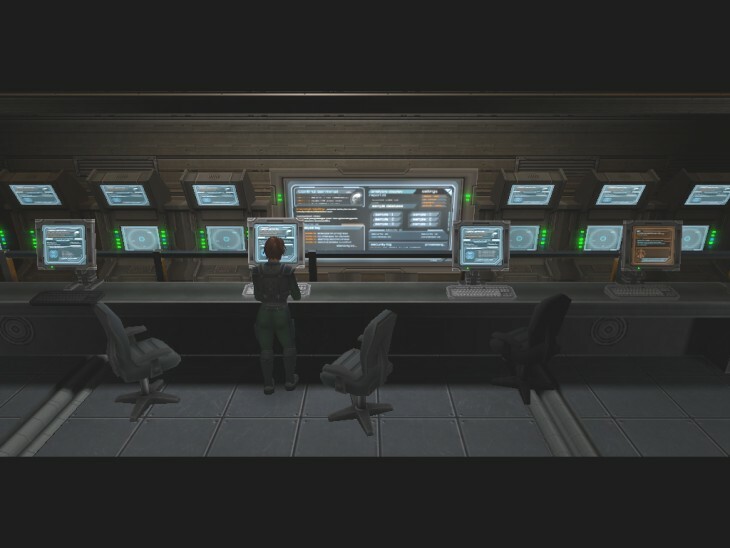 Unlike Doom 3, you're not really on your own for most of the game, which makes a pleasant change, there are lots of NPCs are around to assist, some that travel with you and others that guard locations or give you missions and chat over your radio. As for the enemies, all nicely varied and nasty, with the usual AI to work in groups, try and surround you, and kill you in lots of nasty ways. The levels have lots of cover scattered around - piles of barrels and boxes, which both you and the enemies will shoot or break through, so you can't just find a safe spot to snipe from either. There are also early monsters that run away from your torch (which is a blessing at the start when you don't have any weapons! ), which is a nice touch, particularly as the buggers love sneaking up behind you in the shadows, taking a bite and then scuttling away under the glare of your light.. There's all the usual slick cutscenes and well-voiced (and often darkly humorous) dialogue to develop the plot and characters, as you'd expect, as well as PDAs that fill in back story or warn you of what's likely to come up ahead. What I particularly like is the real sense of progression through the game - you find new weapons only gradually, and the levels are absolutely massive, which makes exploring them very satisfactory. 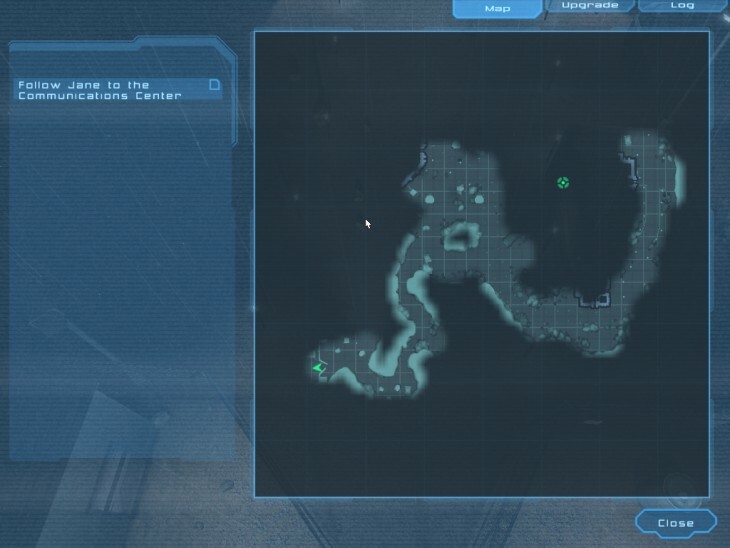 One minor gripe is that the automap is a little under-sensitive, so you have to walk right up the extreme of an area before the map will note this fact. But you have pretty much full access to the entire level at any time, so you can go exploring (which the game always rewards you for, something I'm a big fan of) before you decide to start carrying out your actual objectives. There's a real interest in what's going to come next, and I keep looking forward to what the next weapon is going to be (especially the upgrades). One thing that is a minor issue is that there are no savegames or checkpoints. 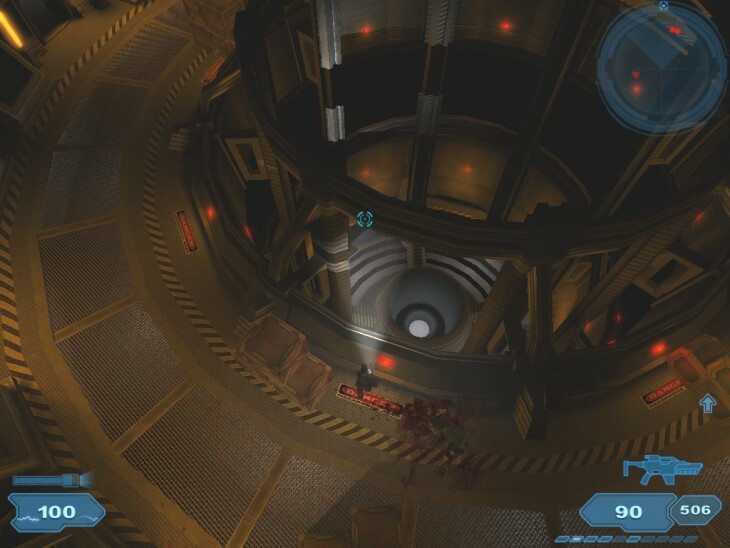 The writers (a Finnish company called FrozenByte) have stated online that they originally intended for each level to take about 20 minutes to complete, but they got carried away and made many of the levels huge and multi-staged. 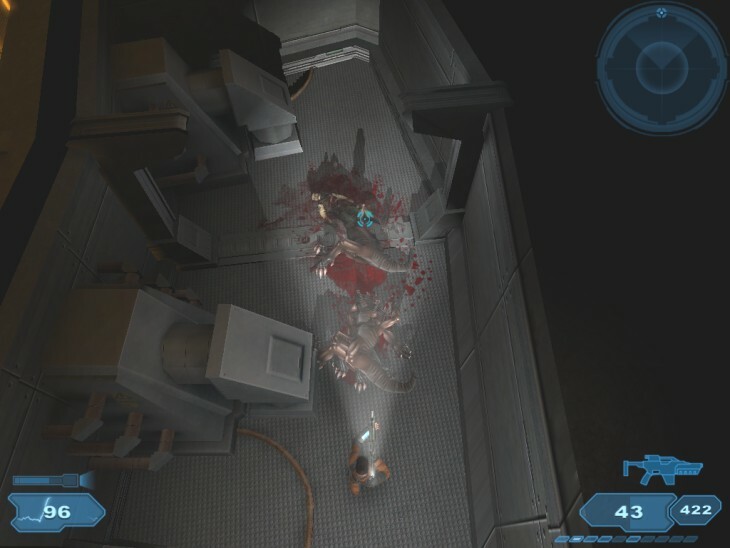 You have 4 "lives", effectively, per level, so dying is less of an issue, but you have to be sure that you're ready to undertake a level before you do, because once you start the only way to save your progress is to finish it, and some levels can take up to 45 minutes and can be quite challenging. Much like Alien Breed, really! The game has a nice steady pace, too, you don't get swarmed by endless enemies, they tend to lurk and wait for you so you can ready yourself for each attack. You can always tell dubious looking rooms or areas as you approach them too, and the field of vision is pretty big so you can scout ahead a little by looking over walls. There are some good and often unexpected setpieces and boss type areas too which provide a worthy challenge. This review is a bit all over place, I'm afraid, mainly because I'm trying my hardest not to tell you too much about the game.. You'll notice that pretty much none of my screenshots have any enemies in, this is because another pleasure of the game is meeting the new ones as they appear and learning tips and tricks to deal with them. 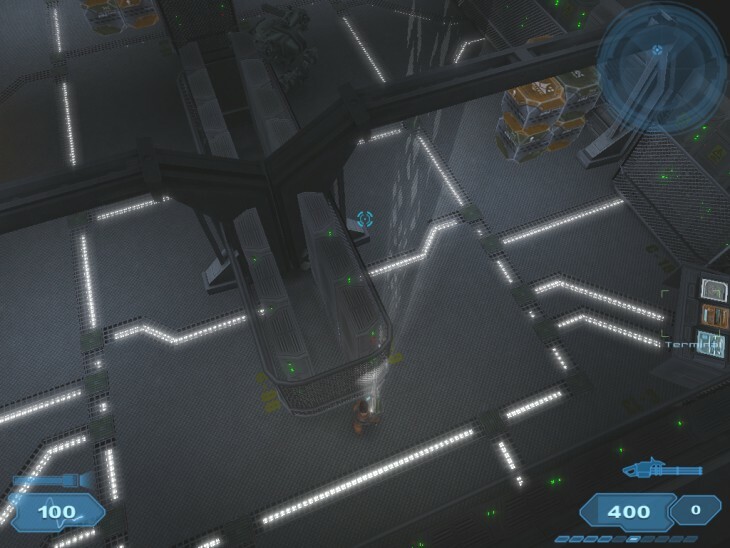 Suffice to say they get all big and nasty as the game progresses, and when you're running around setting up sentry guns while enemies are tearing their way through the security doors it can all get all sorts of fun and exciting! The music is awesome, lots of moody and atmospheric tunes while you're exploring which kick into banging techno tracks when all hell breaks loose around you, and the weapons and enemies all sound and feel nice and realistic. Enough, already. It's a gem, you can buy it through Steam for under £15, it's lots of fun, intelligent, well thought out, subtly understated, and a lovely hark back to happy days of creepies popping up through the floor and wild open alien-infested outdoor areas in Alien Breed 1 & 2 on the A500..
Last edited by Damage on Mon Oct 09, 2006 7:18 pm, edited 1 time in total. Duly modified, apologies for making assumptions about the engine, the combination of the high-end visuals and running through Steam made me automatically compare it to HL-2.. Looks like Valve have some serious competition! Removed the savegame bug reference, and also managed to stop myself from using the word "nice" in every single sentence..